Halloween is a great time of year for children and even teenagers, but what about adults? Many adults may feel that Halloween is not really for them or are unsure as to how to celebrate Halloween in a really fun style. The key here is understanding there are several ways to interpret Halloween for a really great Halloween party for adults. Whether you choose to throw a traditional Halloween party with a touch of retro styling or reinvent Halloween with a more elegant look, you can have a Halloween party that all your adult friends won’t be able to stop talking about. Here are some ideas for things you can do at a Halloween party for adults. Every great party begins with a great invitation. 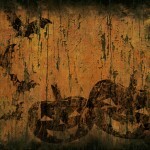 Go all out decorating a festive Halloween themed invitation to let your guests know what to expect. 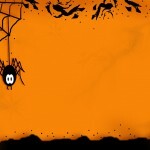 Encourage them to come in costume with the incentive of prizes for the scariest, silliest or most original costume. In lieu of a sit down dinner, opt for a soup buffet (served from cauldrons of course!) 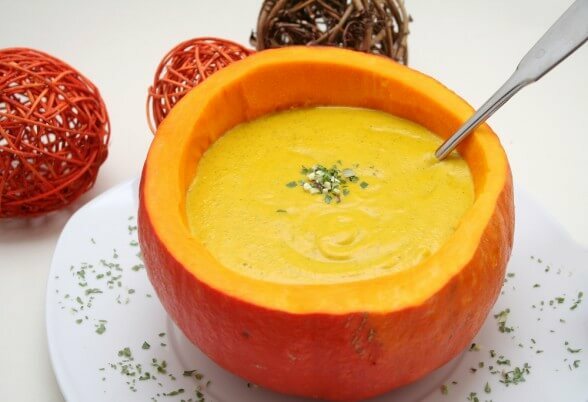 where your guests can ladle up their favorite soup into pumpkin shaped bread bowls. Specialty bread bowls can be ordered from bakeries at Halloween time and usually come complete with a green dyed tip that looks like the pumpkin top. All you do is cut the tops off and they are ready to go. Your guests will enjoy a rousing game of charades or Pictionary (both with Halloween topics) but don’t be afraid to try some traditional “children’games” as well. Many adults are willing to shed some inhibitions at Halloween and give bobbing for apples or a traditional spook alley a try! Don’t worry about dessert; just set up a candy bar where your guests can fill up cellophane bags on their way out: filled with their favorite Halloween treats! It will be a sweet reminder of all the fun they’ve had. If you want to do something a little different for Halloween you may want to consider throwing a murder mystery party. Many of these kits can be purchased at craft or game stores. The basic premise is a type of “play” that your guests act out while trying to solve the fictional murder that has occurred amongst the characters. They often come with suggestions for everything from invitations to a dinner menu that reflects the type of murder mystery you are doing. These murder mystery kits are often themed from different time periods so you can encourage your guests to come dressed to reflect the characters in your murder mystery. Follow the suggestions given, dress your table with lots of beautiful candles and grown up pumpkins and have a great dinner! After the “murder” is solved consider serving a pumpkin cheesecake (definitely a grown up taste)! Afterwards send home a favor reflective of your overall theme or delight everyone by tying up a couple of gourmet chocolate bars with some fun ribbon for a sweet treat for all your guests to take home. If you are looking for an over-the-top way to impress your guests, consider throwing a costume ball. Purchase party masks at a craft store and some faux jewels to really make a memorable invitation. After bejeweling your masks, write the pertinent information on the mask and deliver to your guests. This type of party may require more research for guests to find an appropriate costume so be sure and send your invitations out in plenty of time. If your home won’t accommodate this type of party, many historic homes are available to be rented and can add to the ambience. Surround your party space with candles and tubs of dry ice to create that right spooky atmosphere. Instead of a sit down dinner lay out a lavish buffet of appetizers for your guests to enjoy between dances. At midnight after the unmasking you may want to treat your party guests to slices of rich decadent chocolate torte to further fuel their dancing energy. Having a fortune teller, tarot card reader and a wandering magician can provide entertainment for your guests who are taking a breather between dances. Sending home a bejeweled box filled with gourmet chocolates can leave your guests with a chance to savor their magical evening and remember what a great party thrower you really are!